AutoPlay Media Studio 8 Personal Edition is a free software development tool for programming interactive multimedia software, games, database applications, Internet utilities and more. The RV-Media Jpeg2000 SDK is software development kit intended to enable programmers and prosumers to develop applications based on Jpeg2000 standart. SDK contains implementation of Jpeg2000 decoder and encoder. M4a, flac, ogg, ape Tag Support Plugin add support for various additional audio files tag formats into Microsoft Media Player v1-10 and Windows Media Center Edition, it allow you to add this files into Media Library with all its tag information. WMP Tag Support Plugin add support for various additional audio files tag formats into Microsoft Media Player v10-11 and Windows Media Center. This plugin allow you to use in Media Player or Media Center popular audio formats like m4a files from your iPod or iTunes, Flac, Ogg, Monkey's Audio (ape), Wav Pack (wv), Optim Frog. Is your music and video file collection growing out of control, making it impossible to find anything? Fight the problem with Media Catalog Studio, a handy software application for classifying and tracking media files or CDs. It's free to download! All Media to MP3 Converter is a powerful tool to convert all video and audio files to MP3, WAV, WMA formats. 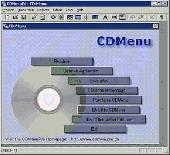 It supports AVI, MPEG, RM/RMVB, WMV/ASF, MOV video and audio formats."